At up to 42 pages per minute (BW, Letter), the imageRUNNER ADVANCE 500iF model is Canon's most advanced compact MFP ever. Supports up to Legal-sized paper and delivering easy, efficient workflow and connectivity to mobile devices and cloud-based tools. 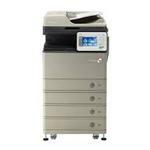 Samsung CLX-8650ND Color Multifunctional. 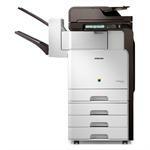 Business Color Multifunction 51ppm b/w 51ppm color.